Official 2010-11 Ukraine home football shirt manufactured by Adidas. Available sizes are S, M, L, XL, XXL, XXXL. Brand new official football kit of the Ukranian national football team for the Euro 2012 qualifying campaign. This shirt comes with Andrei Shevchenko shirt printing. 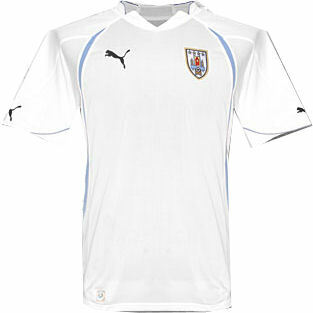 Official 2010-11 Uruguay away football shirt manufactured by Puma. Available sizes are S, M, L, XL, XXL, XXXL. Brand new official football kit of the Uruguyan national football team for the 2010 World Cup Finals. Customise your soccer jersey with Puma shirt printing for all your favourite stars including Luis Suarez, Diego Forlan, or even your own name and number in the same style as worn by the players at the 2010 World Cup. 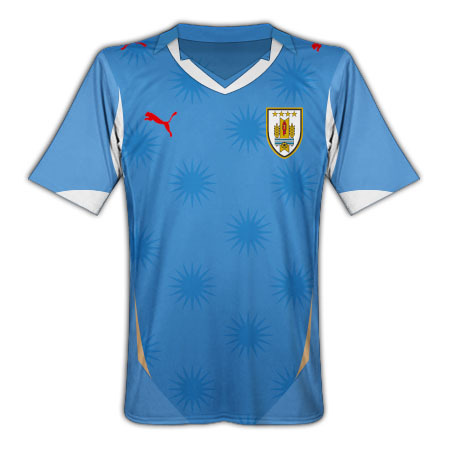 Official 2010-11 Uruguay home football shirt manufactured by Puma. Available sizes are S, M, L, XL, XXL, XXXL. Brand new official football kit of the Uruguyan national football team for the 2010 World Cup Finals. 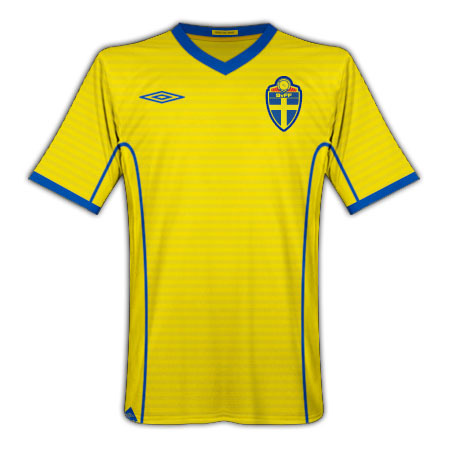 Official 2010-11 Sweden home football shirt manufactured by Umbro. Available junior sizes are S, M, L, XL, XXL. Brand new official football kit of the Swedish national football team. Customise your soccer jersey with shirt printing for all your favourite stars including Zlatan Ibrahimovic, Johan Elmander and Kim Kallstrom, or even your own name and number. Official 2010-11 Sweden home football shirt (Kids) manufactured by Umbro. Available junior sizes are small boys, medium boys, large boys, XL boys. Brand new official football kit of the Swedish national football team. Official 2010-11 Switzerland away football shirt manufactured by Puma. Available sizes are S, M, L, XL, XXL, XXXL. Brand new official football kit of the Swiss national football team for the 2010 World Cup Finals. Customise your soccer jersey with Puma shirt printing for all your favourite stars including Philippe Sendeos, Johan Djourou, Alexander Frei, Barnetta, Hakan Yakin, or even your own name and number in the same style as worn by the players at the 2010 World Cup. Official 2010-11 Switzerland home football shirt manufactured by Puma. Available sizes are S, M, L, XL, XXL, XXXL. Brand new official football kit of the Swiss national football team for the 2010 World Cup Finals. Official 2010-11 Thailand home football shirt manufactured by Nike. Available sizes are S, M, L, XL, XXL. Brand new official football kit of the Thai national team. 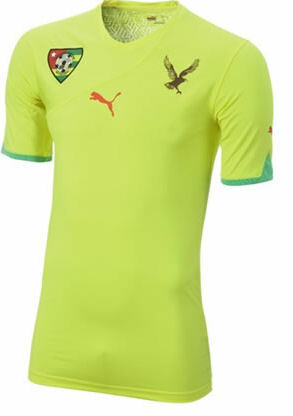 Official 2010-11 Togo away football shirt manufactured by Puma. Available sizes are S, M, L, XL, XXL. Brand new official football kit of the Togo national football team. Official 2010-11 Togo home football shirt manufactured by Puma. Available sizes are S, M, L, XL, XXL. Brand new official football kit of the Togo national football team.